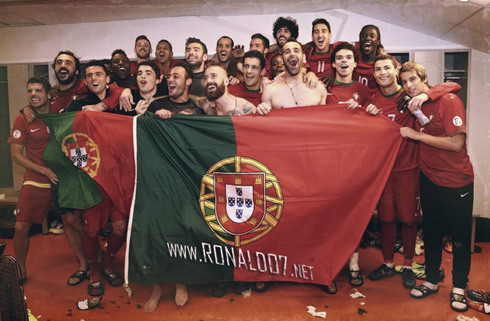 The Portuguese National Team has beaten Sweden by 2-3 in Stockholm and has finally assured the qualification for the 2014 FIFA World Cup, which will be held in Brazil. Last night's show was stolen by the two biggest stars on the pitch: Zlatan Ibrahimovic and Cristiano Ronaldo, but it was the Real Madrid forward who ended up writing another golden page in history books, this time with a memorable hat-trick. Let's start by pointing out that it's getting harder and harder to qualify what Cristiano Ronaldo has been doing this season. When we think we've seen it all, Ronaldo comes around and takes it to a whole new level. Portugal travelled to Stockholm this Tuesday night with a mission in their minds: to beat Sweden no matter what. They have done it with a 2-3 win (2-4 on aggregate) and it was Cristiano Ronaldo who once more carried his entire nation on his shoulders. The 28-year old forward responded to the two goals from Zlatan Ibrahimovic with a stunning hat-trick and made sure that Portugal won't miss the upcoming 2014 FIFA World Cup in Brazil. It was one of Ronaldo's best performances ever while wearing the Portuguese National Team jersey and what a moment for the "commander" to show off all his talent! After a goalless first half where Portugal had already been far superior to Sweden, things got heated up for the last 45 minutes. Portugal broke the deadlock in a classic counter-attack around the 50th minute, when the current AS Monaco midfielder João Moutinho brilliantly assisted Cristiano Ronaldo by using the outside part of his boot. CR7 was then given an open road on Isaksson's direction and he finished it off in great style by striking the ball at full speed with his left foot. That was the crucial goal everyone thought Portugal needed to score and at that point, Sweden needed to get 3 goals in order to still aspire going to the World Cup in Brazil. Sweden's response took close to 20 minutes to arrive, but it came down on Portugal as a strong storm does in tropical weathers. 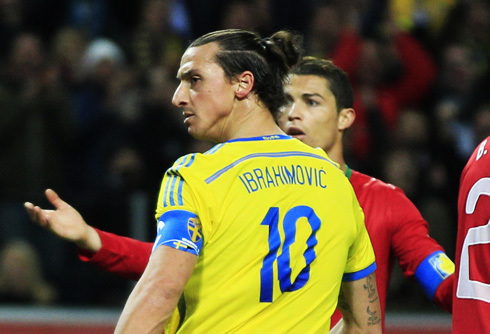 Kallstrom took a corner kick on his team's right attacking side, curled the ball inside the 12-yards box and saw Zlatan Ibrahimovic rising above his direct marker Bruno Alves, to head it past the Portuguese goalkeeper Rui Patrício. The PSG forward then spoke a few words to Pepe, with who he had had a little disagreement just some moments before. Suddenly, the 50.000 Swedish fans at the "Friends Arena" saw their beliefs and dreams restored and it wasn't that hard to predict that another goal could be on its way really soon. And so it happened... Miguel Veloso made an unnecessary charge on Zlatan Ibrahimovic close to the border of the Portuguese penalty area and when Howard Webb called for it, everyone was aware that the visitors were in serious trouble. Sweden may not have a player like Cristiano Ronaldo playing for them, but they got Zlatan Ibrahimovic in a great form as well and the former Barcelona and AC Milan forward sent in a rocket that basically almost went through Rui Patrício's body. We had 72 minutes ticking on the clock by then and Sweden only needed one more goal to turn the playoff aggregate result in their favor. Roughly 5 minutes after Zlatan's second goal, the Hugo Almeida and Cristiano Ronaldo connection finally paid off when the Besiktas forward picked up a pass and held on to the ball in midfield, just before releasing a great pass for another Cristiano Ronaldo run. The Real Madrid superstar controlled the ball with his right thigh, lifted his head and fired it past Isaksson to make it 2-2 on the scoreboard. What a goal that was and what a way to restore the calm to a whole nation! There would still be time for Ronaldo to sign a hat-trick to this legendary performance, as only two minutes after the equalizer Ronaldo released the final blow to the Swedish beliefs. Similarly to what we had seen in the first goal, it was once again João Moutinho pulling off a superb assist for the Portuguese captain, who then went around the Swedish goalkeeper to set the final score in 2-3 and confirm Portugal's qualification to Brazil's World Cup in 2014. With these 3 goals scored against Sweden, Cristiano Ronaldo is now tied with Pauleta as the top goalscorer of all-time in the Portuguese National Team, with 47 goals on his personal count. It's also Ronaldo's 26th career hat-trick and he has now reached the 66 goals mark in 2013, his personal best in a calendar year and with still 8 games left waiting to be played before the end of the year. Get ready Brazil, because we're not missing the party next summer! Attackers: Nani, Cristiano Ronaldo, Hugo Almeida. 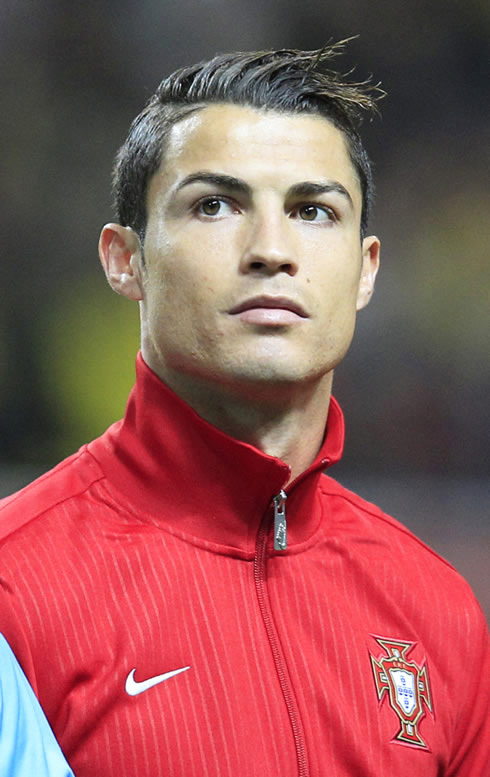 Cristiano Ronaldo next game will be for Real Madrid, against Almería for La Liga, this Saturday (November 23, 2013). You can watch Juventus live stream, Almería vs Real Madrid, Barcelona vs Granada, West Ham vs Chelsea and Everton vs Liverpool, all matches provided from our soccer live section.